Recently, the consumption of bio­fuel gradually increases worlwide. Mod­ern technologies of biofuel production and combustion let us effectivelly use almost all waste of forest and wood re­cycling industry. Wood fuel that is being supplied by JSC “Durpeta“ is produced in envin­roment sustaining manner and is high quality. 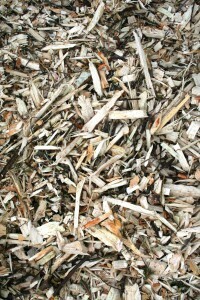 The type of wood fuel which is recommended is wood chips. Wood chips are being made of firewood, log­ging waste and stumps. The amount of energy which is being gained from wood chips is similar to the amount gained from milled peat, which also highly depends on moisture. Availabili­ty to provide wood depends upon the preferred place of delivery. We are able to supply our customers with wood chips and peat mixtures, according to their requested proportion. The amount of produced energy which is being gained from wood is simi­lar to the amount gained from peat (see the table above) however, quality of their combustion slight­ly differs. Peat as a substance fumes longer than wood, therefore when wood and peat mixture is passed to the boiler, quality of combustion increas­es. Long-lived experience of Swedish and Finnish energy producers shows that when wood and peat mixture is used as fuel, as a result, boilers do not fail or get out of order, unlike when only wood chips are being used, therefore, wood and peat mixture is frequently chosen in order to improve and extend the work of the boiler.